Beautifully shaped eyebrows can make the difference between a dull face and a glamorous look. Unfortunately, over-plucking the eyebrows is easy, especially when you attempt to do it yourself instead of going to a beauty salon to have them done by a professional. If your eyebrows are not as think and full as you’d like them, you can try to improve their look by applying essential oils on them for a couple of months or so. There are many oils that help, but the main recommendation of professionals goes to castor oil. Why Use Castor Oil For Eyebrows? When using castor oil for eyebrows regrowth, you’ll also benefit from a thickening of your brow hairs. 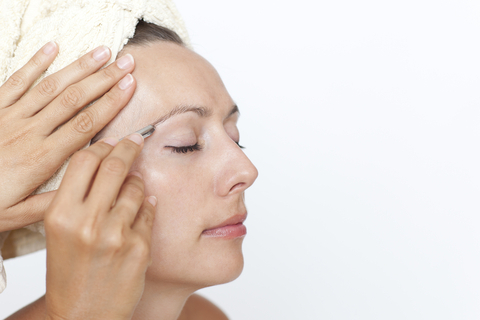 This will make your eyebrows appear fuller and healthier. You can see results in as little as two months. Applying the castor oil on eyebrows is easy. Before application, you should make sure your skin is clean. Cleanse it as you usually do. Remove any excess oils from your eyebrows with some toner or water. By doing this, you prepare your skin to absorb the castor oil more effectively, therefore results may appear faster. All you need is a drop of oil on each eyebrow. Use a soft brush or a Q-tip to spread it onto the entire area you want, then allow it to set for several minutes. If you do it before going to bed, you can sleep with the oil on, but if you choose to do it in the morning, you’ll have to rinse it off with some warm water before starting your day. If you can, it’s best to apply castor oil for eyebrows growth twice a day: once in the morning and once in the evening. It is safe and non-toxic, so you don’t have to worry about your health. Nonetheless, it’s best to make sure your body doesn’t develop an allergic reaction to it, therefore you could apply it on a small area to start with, leave it over night and see how your skin looks in the morning. If you developed any irritation, you shouldn’t probably use castor oil, because you may be allergic to it. Castor oil comes from the castor bean and it has multiple uses such as laxative, hair growth promoter, anti-fungal, headaches, sunburn, labor inducing, muscular pains relief or memory enhancer. Its purest form is known as Jamaican Black Castor Oil. Being a raw, unrefined oil, the Jamaican Black retains almost all nutritive properties of the plant, therefore it is the most effective. Of course, it would also come with the highest price, but you usually get what you pay for, so it’s worth spending a bit more money for a better quality product. 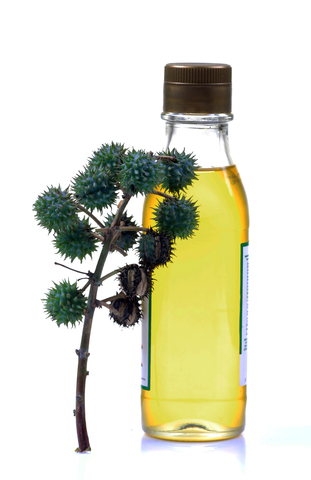 When buying castor oil, you should be careful not to buy one meant for industrial use. You need to get cold-pressed or cold-processed oil, because that’s the highest available quality. These mentions are clearly marked on the label, so you should be looking to see them. If they aren’t there, don’t buy the product. Pure castor oil smells a little bit. It is not unpleasant, but if, for some reason, you can’t stand the smell, you can buy a cosmetic product that’s based on castor oil. Such products usually contain fragrances which conceal the smell, making it more bearable. Be aware, though, that you may need to apply the treatment for a longer period of time, in order to get the desired results. Last but not least, refrain from plucking your eyebrows while using the treatment and go to have them shaped by a professional once they are thick enough.